You are going to Watch Naruto Shippuden Episode 378 English subbed online free episodes with HQ / high quality. Stream Anime Naruto Shippuden Episode 378 Online English sub The Ten Tails’ Jinchuriki. As the other Allied Shinobi wonder about the Ten-Tails’s sudden disappearance, Hinata explains to Sakura that the monster’s body and chakra were completely absorbed by Obito who became a Jinchuriki rather than perform the Rinne Rebirth for Madara. With him and Tobirama noting the new threat, Hashirama attempts to pin Obito. However, Hashirama’s restraints prove useless against Obito as he destroys the Hokages’ barrier with his chakra arms. As Minato tries to call out to his former student, and Hashirama unable to avoid an impatient Madara, the other reanimated Hokage start attacking the enemy by using their indestructible bodies to study Obito’s power such as his ability to blend multiple chakra natures to produce a multipurpose substance. 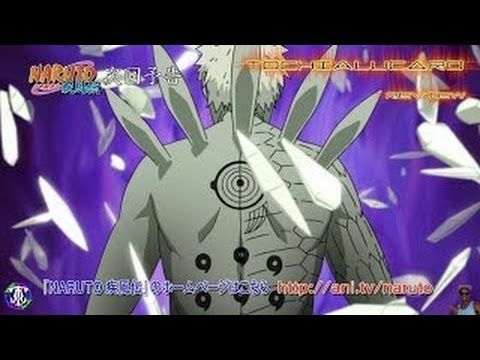 Minato goes on the front trying to exploit Obito’s inability to suppress the Ten-Tails, only for Obito to dodge and grab Naruto and Sasuke by their necks.